Ms. Nozuko Gloria Bam, explains her country’s efforts. The Republic of South Africa elected its first black African President, Nelson Mandela, in its first universal election that was held in 1994 after the repeal of apartheid legislation. In post-apartheid South Africa, efforts are made to create more inclusive society where everyone is democratically represented, and where discrimination based on gender could no longer take place. 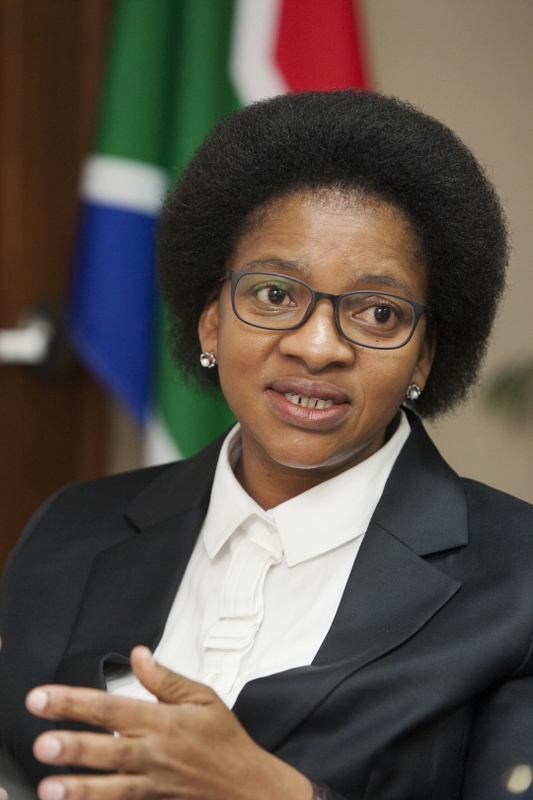 The Women’s News met with Ambassador Nozuko Gloria Bam, who arrived in Korea in January last year, at the Embassy of South Africa to discuss the democratisation process and gender equality policies of the South African Republic. “I personally fought for the full representation of black Africans in South Africa, so I was excited when we finally got to vote in the 1994 election. President Nelson Mandela believed that we South Africans were blessed with our diversity, and the reconstruction efforts and development of the country during his presidency were based on that belief. In fact, our Constitution’s preamble also states: “Believe that South Africa belongs to all who live in it, united in our diversity”. Another important change that came with the new Constitution is the enactment of Bill of Rights, which enumerates the civil, political, economic, social and cultural human rights of the people of South Africa. Women did not have the right to vote under apartheid, but now all citizens can exercise their voting right. Mandela administration also embarked on the Reconstruction and Development Programme to address poverty, inequalities, unemployment and racial discrimination problems. The problems were also analysed from the gender equality perspective. From this perspective, special attention was paid to the roles of women and their capacities. Women of South Africa had largely contributed to the anti-apartheid movement and demanded for the abolition of discriminatory legislations that disfavoured black Africans and women. The Reconstruction and Development Programme also includes policies to support women’s capacity building. We put serious efforts in improving women’s representation: before 1994, only about 2.7% of all representatives were women. Now women represent 41% of the members of both houses combined at the National Assembly. Approximately 43% of our Ministers are women, along with the 45% of deputy Ministers. In addition, women represent 38% of the judges in our justice system. If we look at the public sector, about 45% of the senior managers are women. At regional level, women are represented at around 38%. As for the diplomatic service where I belong, a quarter of all 81 ambassadors who represent the Republic around the world are women. “Women are key stakeholders in the policymaking process. The Department of Women was established following the Bill of Rights in the Constitution. Subsequently, the Commission for Gender Equality was established as a part of “Chapter Nine Institution”, which had been established in terms of the Chapter 9 of the Constitution, to guard democracy in order to empower women’s capabilities and promote gender equality. Under this institution, the Minister of Women in the Presidency reports on the progress of gender equality policies and liaises with the Commission for Gender Equality to ensure protection of women’s rights. Also, these institutions monitor and evaluate gender equality policies and their outcomes. All departments are required to report on their progress, especially with regard to the policies on women’s capacity building. For instance, all hiring practices should meet the gender equality criteria set by the government policy: departments should strive to reach gender parity in their recruitment. When vacancies arise, the number of places for women should be identified and justified according to the policy. If a position is denied to women, there should be a justifiable reason and the department should be able to prove that it tried its best efforts to recruit women for the place. If there are 5 vacancies, at least 2 of the positions should be filled by women. That is our policy. “We achieved much progress but there still remain a lot of issues that need attention. In particular, poverty is a big problem as it is women who are most affected by poverty. Tackling discrimination and inequalities require looking at the status of women, especially that of the women in rural areas, as they make up the largest share of victims affected by inequalities that result from poverty, HIV/AIDS, and other problems. To build the capacities of women, it is also important to have good education programs for young girls. Women’s issues range from poverty to health and education, and we should work to achieve gender equality in all these areas. South Africa is a participant to the annual 16 Days of Activism Against Gender Violence Campaign, which starts on the International Day Against Violence Against Women (November 25th) and ends on the International Human Rights Day (December 10th) every year. The campaign aims to raise people’s awareness and consciousness of gender-based violence. As the problem concerns not only women and girls but also men and boys, we work to increase the capacities of boys, as well. Women ambassadors are pressured to prove they are as capable as, or more qualified than, their male peers. Sometimes people make mistakes thinking I am the ambassador’s wife. I have to be flexible to keep the balance between my life as the ambassador and my life as mom. I look at my children’s homework after work and try to attend their school activities.